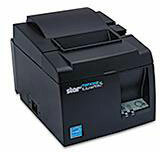 Continuing its philosophy of 'Always Leading "" Always Innovating, ' Star Micronics presents the TSP100III, the faster, better, and easier POS printing solution. Already a leading player in the mPOS market, Star Micronics' TSP100III is now offered with WLAN connectivity, supporting 802.11b/g/n with 2.4GHz, for an easy-to-use and ready-to-go set-up. 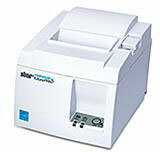 The Star 39464710 is also known as Star Micronics	STA-39464710	.